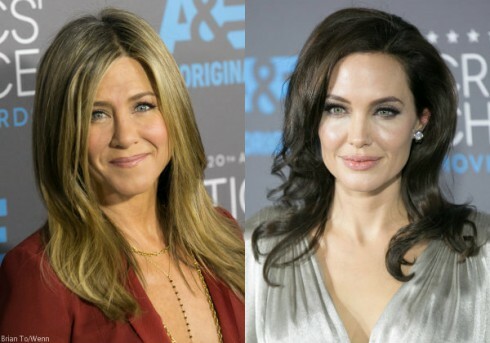 These pictures are of Jennifer Aniston and Angelina Jolie at last night’s Critics’ Choice Movie Awards. It was apparently the first event they’ve both attended in five years. As such, it stirred up all those old feud rumors… But Jennifer isn’t having it. According to insiders, Jen — who was joined by fiancé Justin Theroux — and Angelina — who was flying solo — didn’t bump into each other during the awards show. However, in her interview today, Jennifer implied it wouldn’t have been a big deal if they crossed paths. She may have even shared her praise for Angelina’s new film, Unbroken. PHOTOS Is Angelina Jolie turning into Sarah Palin?